Over the course of four days and under the title ‘A Journey to a Sustainable Society’, students from India and Germany researched, discussed and showed members of the academic community and theatre practitioners how they would like to experience the future and how they would like to see us live together on our planet. The creative meeting and discussion culminated in a lively and moving concluding stage presentation on 11 June. 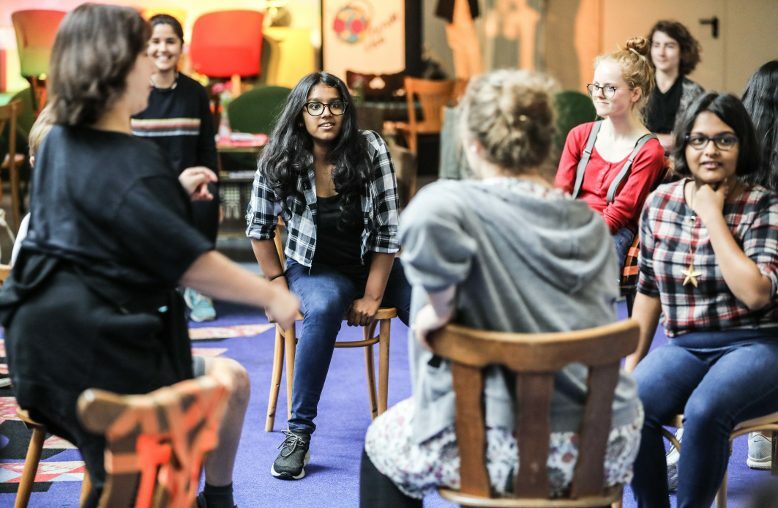 Project manager Judith Weißenborn, who is the artistic director at Junges Schauspiel Düsseldorf joined hands with Laura Cadio, a theatre educator, to develop the programme for young people. It was diverse, sustainable and dynamic. 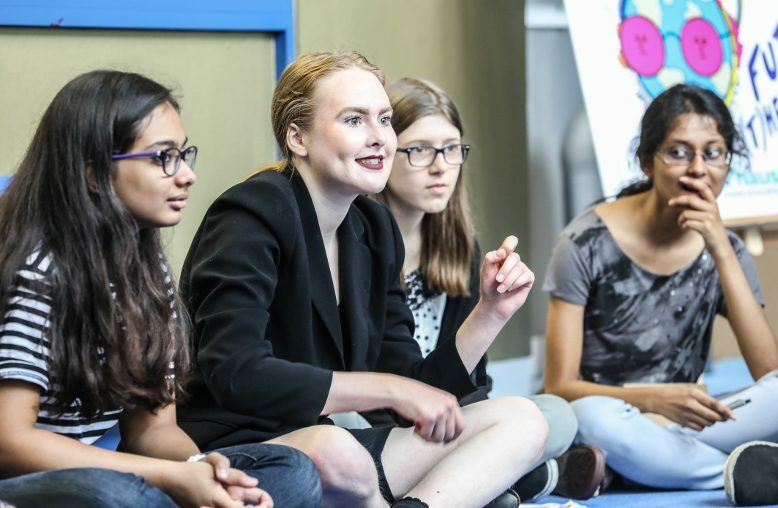 Under the conference slogan of ‘Exchange, Encounter and a Change of Perspective', the students started each day with an academic input that came from a keynote address given by experts. Connection, belonging and engagement were the three issues that provided the momentum. ‘We are all alone in this together’ was, for instance, the subject of the second day and was presented by the sociologist Raffaela Then. Lea (17) from Solingen summed things up: ‘Personally, I feel I belong with my family and my friends. Also when making music with my friends or when playing the saxophone in an orchestra, I feel I belong and am integrated. I can express my feelings without words and that gives me a sense of belonging.’ Angel (15) from Mumbai added that the feeling of a community of friends and well-meaning people was healthy and made it easier to be creative and constructive when dealing with social and environmental issues. A good community is therefore a necessity to be able to see a reflection of ourselves, to be innovative and to grow together. It was possible to create this protected community space during the conference in Düsseldorf. 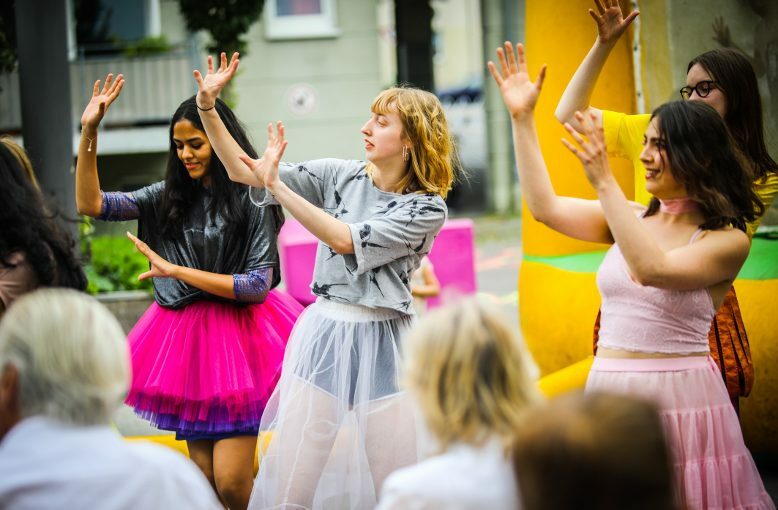 The creative energy and positive atmosphere pervaded the Junges Schauspiel. 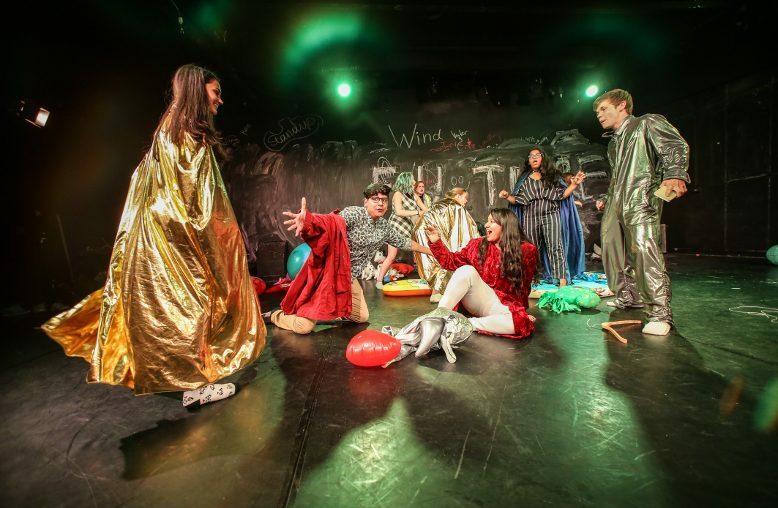 During the day, students experimented with sound, rehearsed scenes, discussed what had been staged, tried on costumes and choreographed performances. 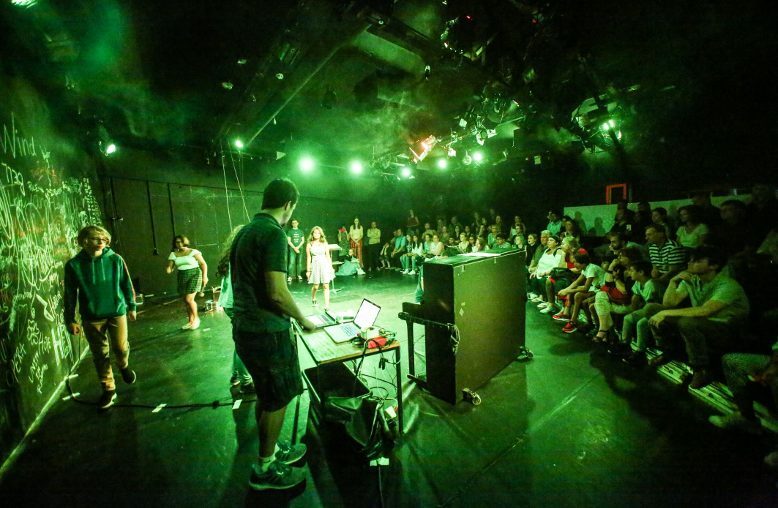 The participants were free to choose from one of three workshops: music, performance or theatre. Once the creative work was done, the students got together to prepare and eat local organic food. One could see the ‘we’ becoming increasingly stronger during the time spent together. 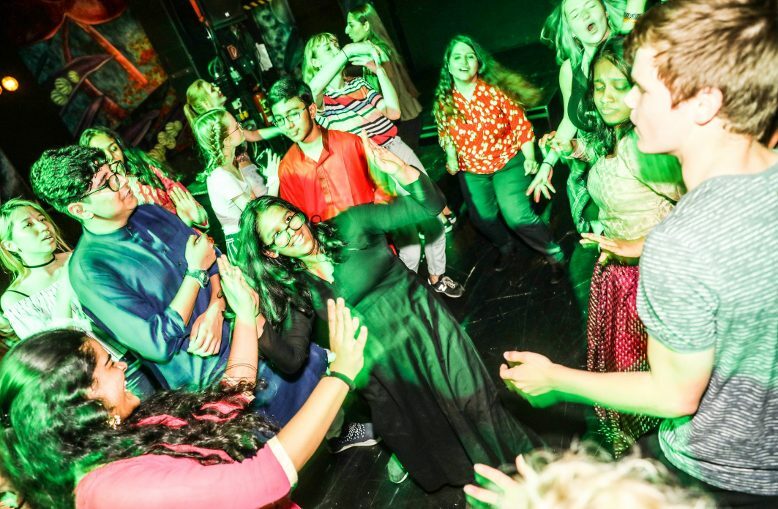 A message from Bhakti Bhave, a political scientist, on engagement, the focus of the conference: ‘Take care and be extraordinary – you can get involved and make a difference, it’s up to you!’ There are many examples of areas where you can join in. Fifteen-year-old Preeyansh spoke about the project he is involved in India: discarded clothes can be delivered to STEM, an initiative for young people. These are then recycled by tailors and made into individual shopping bags to be used in place of plastic bags. It is easy to understand the motivation of young people to be involved in the initiative: They are the generation that (must) stand for change and the generation that wants to break free. The conference was the third in the Future (t)here series. The first, on ‘Sustainable living’, was held in November 2016 in Mumbai, while the second conference was organised in January 2018 on the new premises of the Goethe-Institut/Max Mueller Bhavan in Kolkata. 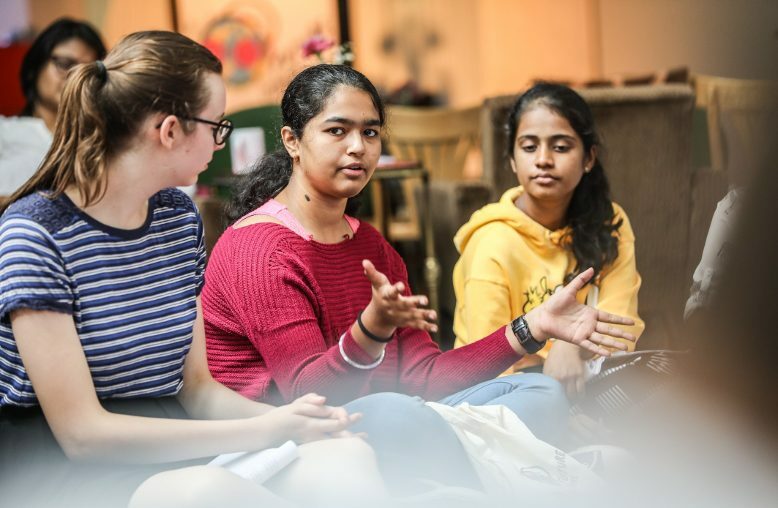 While Indian students and some German speakers participated the first two events, this year’s conference went one step further: For the first time, Indian and German students met in Düsseldorf, worked together in bi-national groups and used art to create an image of their shared future. 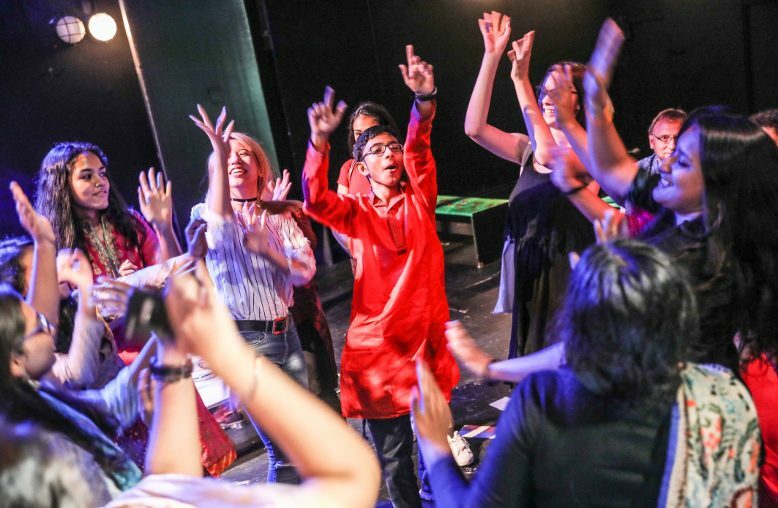 The programme was rounded off with two plays: ‘Paradies’, directed by Mina Salehpour and staged by the group from Düsseldorf, and 'Y', a guest performance from Pune. 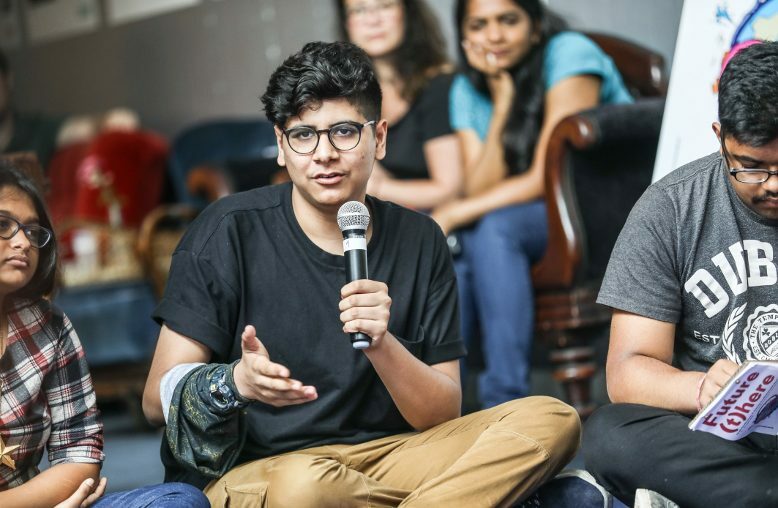 What was special: the plays are the result of a cooperative writing process involving scriptwriters Lutz Hübner and Stefan Fischer-Fels from Junges Schauspiel and their Indian counterparts Vibhawari Deshpande and Shrirang Godbole. The idea was born three years ago during a meeting between Beata Weber, Director of the Language Department at the Goethe-Institut/Max Mueller Bhavan in Mumbai and Stefan Fischer-Fels, Director of Junges Schauspiel Düsseldorf. The concept of bringing young people of different nationalities together in a creative space where they address the important issue of our times, suggests that the initiators of the programme believe in a transnational, global approach to resolve the challenges facing us today. They have launched a model. ‘We have created our utopia here,’ says Judith Weißenborn. One of the things Stefan Fischer-Fels learned during the conference was: ‘As little as possible, as much as needed.’ The youngsters bring so much creativity and enthusiasm. The task of the older people could be to provide them with a framework and the initial impetus and to help them out should they want something rectified. ‘They are the future and we should enable them to shape their lives according to their values.’ The success of the conference is motivating the theatre makers to think about other international projects. And the participants are motivated as well. ‘I will certainly continue working on the questions,’ says a young Indian boy with conviction. In conclusion, the three groups presented their performance, play and music on the final day. Moving, personal and courageous. This was followed by all the actors coming together for the grand finale and singing, ‘Shape of You‘, by Ed Sheeran. It was as though they were celebrating themselves and all of humanity in its beauty and in the acceptance of diversity that is such a unifying factor. The project is a collaboration between the Düsseldorfer Schauspielhaus, the Goethe-Institut/Max Mueller Bhavan Mumbai and FUTUR ZWEI. Stiftung für Zukunftsfähigkeit (Future Perfect. 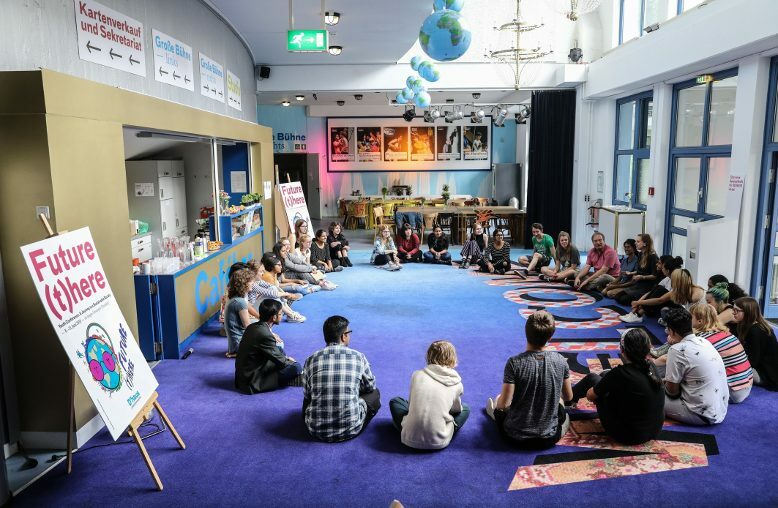 Foundation for Sustainability) Supported by the Ministry of Culture and Science of North-Rhine Westphalia (NRW), the state capital of Düsseldorf, the Düsseldorf Indo-German Society, Air India, the Heinrich Böll Stiftung and the Jugendamt (Youth Office) Düsseldorf. Claudia Nickel is a freelance journalist and copywriter, communications advisor and coach. She lives in Hamburg and is passionate about issues related to living relationships and effective communication.